Somewhere out there in cyberspace there are tech gurus -- a fancy word for nerds -- working to make our lives easier. They’re devising new, unimaginably brilliant gadgets, gizmos and apps that do two things: Make our lives easier and make us wonder why we never thought of such a simple idea in the first place (remember the Chia Pet?). The truth is, self-improvement is a huge industry -- $9.6 billion to be precise. With the digital disruption caused by technology today, there are more and more software solutions popping up to help us optimize our productivity, set and track goals and build healthier habits. If you look hard enough, there’s pretty much an app for every aspect of our lives. Want to maximize productivity? There’s an app for that. How about become more mindful, whatever that means? There’s an app for that, too. What did you say? You want to know exactly how many calories are in that foot-long hot dog? Too many. But, if you really want to know, there’s an app for that, too. To get your month off to a positive start, here are seven self-improvement apps to try out. If you’re a journaler, this is a simpler way to do it. Journaling has been shown to optimize both hemispheres of the brain since writing engages the left brain -- known for analysis and reason -- while the right brain is free to create. Journaling allows you to break through mental barriers to better understand yourself, others and the world around you. No big deal. 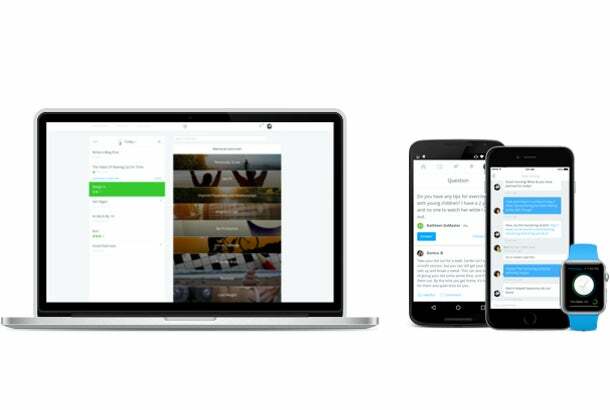 What’s different about DayOneApp is that you can add pictures, local weather data and geo-location to your journal entry for whenever you want to revert back to your happy place. Counting calories is about as fun as counting to 2,000 -- every day. Ain’t nobody got time for that. 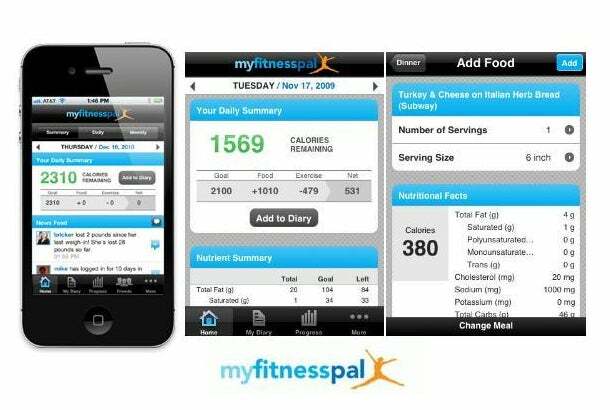 Fortunately, Under Armour has made calorie-counting easy with myfitnesspal. What’s cool about this app is that it will not only subtract calories based on your exercise output for a given day but also scan in a food’s nutritional content based on its barcode and -- magically -- spit out the number of calories along with a caloric breakdown of fats, proteins and carbohydrates that get added to your daily intake. There comes a point in everyone’s life where they just feel stuck. Fortunately, there’s an app for that. 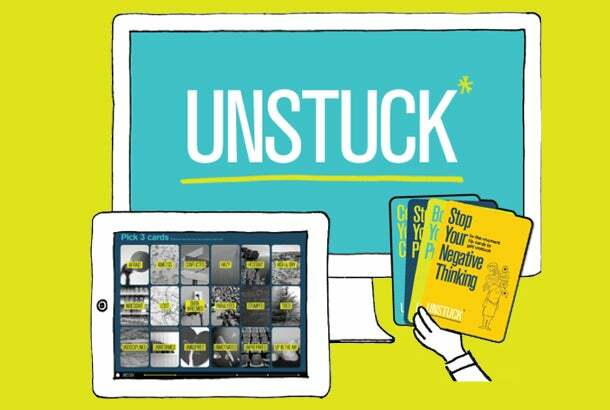 Unstuck is there to help you resolve problems, find motivation or face other moments of paralyzing uncertainty. With a plethora of digital coaches, you receive tips and advice to help diagnose your actions and propose solutions. Boom. There are myriad positivity projects out there to boost happiness. With the happier app you collect -- yup, you guessed it -- happy moments throughout the day to add to your mental Rolodex. There are more than 11,000 studies that show how an attitude of gratitude helps improve sleep quality, increase optimism and creativity, enhance productivity and reduce stress. 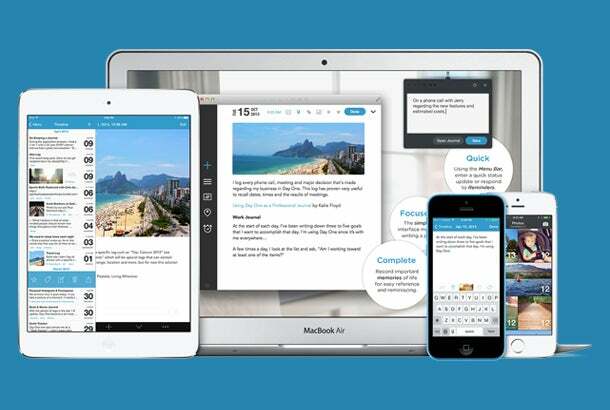 Self-improvement always entails learning, which is where this handy app comes in. If the entrepreneur in you wants to play Mr. or Mrs. Fix-It to save startup funds, then Brightnest will get you in gear. 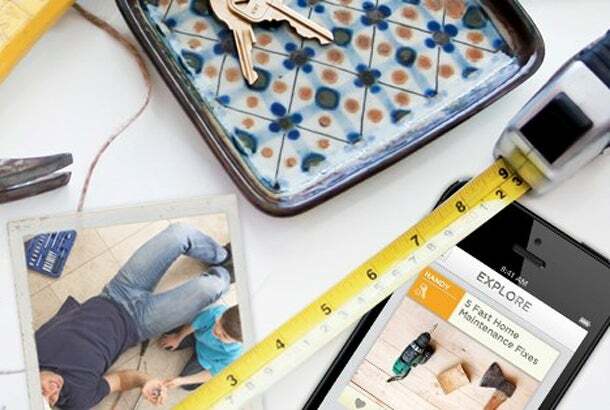 With the mission of Brightnest being “to shape up your home and simplify your life,” this app is packed full of guidelines and tips on everything from cleaning and organization to do-it-yourself. It’s a helpful companion to removing the clutter from our lives, so we can focus on what’s really important. All work and no play doesn't make anyone any better, which is exactly why headout is so important. 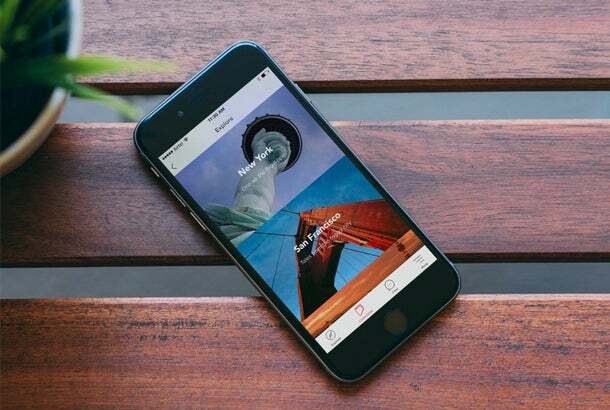 Headout features “incredible experiences on demand,” which is a fancy way of saying it serves as a guide to finding “the best activities, events and tours happening in town.” You can find and book last-minute deals if you’re feeling spontaneous. Never underestimate the impact of powerful questions. Powerful questions infuse a sense of possibility and cause the mind to consider new options, thus expanding the mental boundaries posed by previous paradigms. Asking powerful questions is exactly what coaches do (full disclosure: I’m a leadership coach) and that’s exactly what Coach.me offers. Want to build better habits? A coach can help. Looking to discover new career opportunities? A coach can help. Don’t know how to scale your startup? You get the picture. Technology -- like society--is always changing and always improving, which makes staying relevant a constant uphill battle. Integrate tech with your self-improvement goals, and you kill two birds with one stone.